The heavy boots that are an essential item for Antarctic expedition travelers are often a one-time purchase and add inconvenience, environmental waste and expense to travel. Waterproof pants are also essential. Trekking Poles provide stability while ashore in Antarctica. Rental Boots/Waterproof Pants/Trekking Poles are delivered to National Geographic Explorer or National Geographic Orion in Ushuaia. A package of essential expedition gear for Antarctica eliminates the guesswork of what to wear to stay warm. One price for the package. Add-ons are optional. Enjoy the convenience of your order delivered to your stateroom. Orders can be delivered to the ship in Ushuaia for a flat-rate shipping charge, including taxes and custom clearance. In anticipation of temperatures ranging from 75° F in Buenos Aires to a low of approximately 20° F in Antarctica, you will need a travel wardrobe that can adapt to varied and changeable weather conditions. 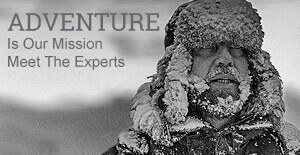 To order your complimentary parka please, call Lindblad Expeditions at 800-397-3348, or email explore@expeditions.com. For questions about parka sizing and gearing up recommendations, please email Lindbladcustomercare@stshore.com.